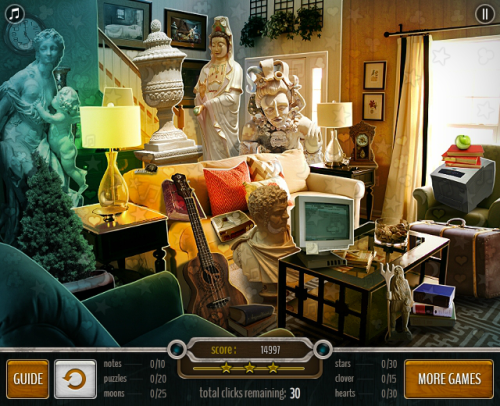 Description Room Expedition 4 challenges you to find 130 hidden objects scattered across a hotel room. Choose between 2 difficulty modes and collect all the lost items. The hard mode will give you more points for each found object. Hurry up to get all 3 stars and bonus points! Controls Collect all the hidden objects without running out of clicks. Each completed category gives you 20 more clicks. The faster you find the items, the higher you score will be.